POLICE and politicians have urged calm ahead of a major loyalist parade through Belfast on Saturday which clashes with the Republic's next Euro game. 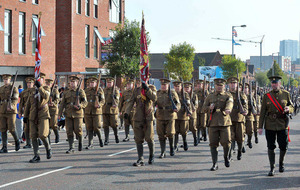 Up to 15,000 loyalists and 38 bands are set to march through Belfast city centre on Saturday to mark the centenary of the Battle of the Somme. 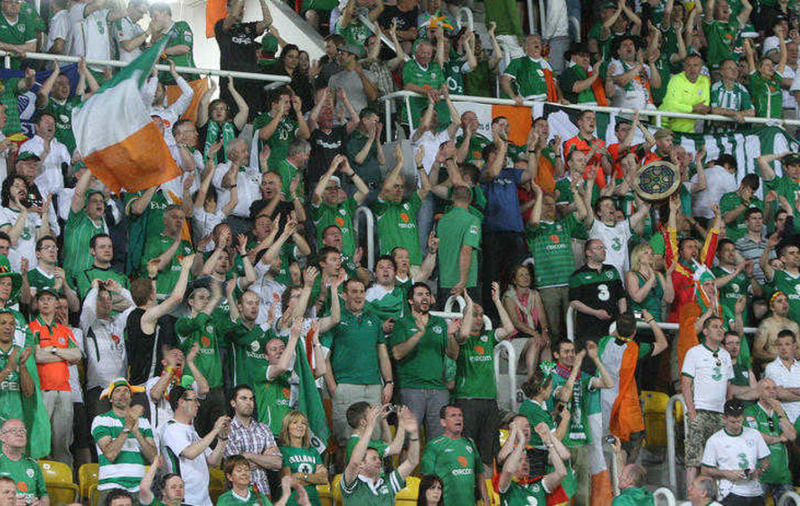 Around the same time thousands of Ireland supporters will be making their way to city centre bars and a dedicated Fanzone in the Titanic Quarter to watch th Republic take on Belgium in Euro 2016. The parade’s route will take it along some of the city’s busiest thoroughfares including High Street, Donegall Place and Royal Avenue - the city’s main shopping street - before it returns to the Woodvale Road in west Belfast at 2pm. It is expected it will pass along Royal Avenue some time after noon, around the same time that Ireland fans will be making their way to venues to take in the match which kicks off at 2pm. South Belfast Alliance assembly member Paula Bradshaw urged everyone who will be in the city centre on Saturday to act responsibly. “With two large groups scheduled to be in the city centre on Saturday afternoon many can automatically jump to conclusions and assume the worst will happen,” she said. 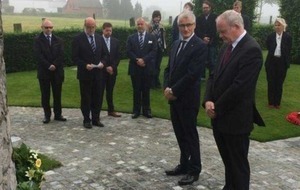 “While I would be appealing for calm and urging those taking part in the Somme parade or watching the football to enjoy themselves in a sensible manner, Saturday also has the potential to be a positive day for Belfast." Ms Bradshaw urged anyone attending the city centre at the weekend to follow the example of soccer fans in France. 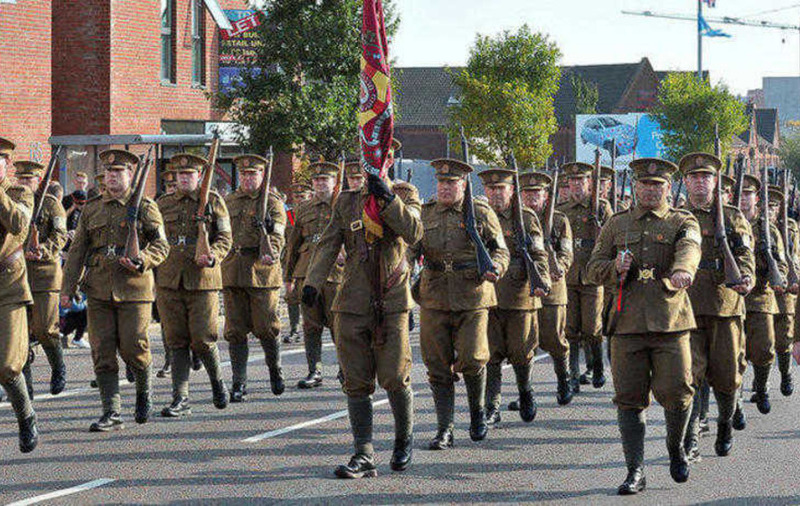 Organisers have described the purpose of Saturday’s parade as ‘Centenary 36th Ulster Division’, the British army regiment made up from Ulster Volunteer Force (UVF) members during World War I. More than 3,500 Irish soldiers died at the Somme in 1916, including around 2,000 from the 36th Division in the first hours of the battle on July 1. The 2016 Centenary Committee, which has organised the march, has also applied to hold a feeder parade from a mixed area of north Belfast. Marchers are expected to travel from the junction Lansdowne Road and Fortwilliam Park along the Shore Road before joining the main parade at Donegall Street. The starting point of the feeder parade, which will involve up to five bands and 1,500 people, is close to the Mount Vernon estate. Bands taking part include Monkstown YCV Flute Band, while the UVF Regimental Flute Band is among those in the main parade. Other feeder parades will travel into Belfast including one from east Belfast which will make its way from Templemore Avenue along the Newtownards Road where it will link up with the main parade. The Somme parade will take place just hours after the Orange Order holds its annual Tour of the North parade around north Belfast tonight. The parade, which will pass St Patrick’s Church, has sparked trouble in the past. Up to 800 people and 11 bands are expected to parade past the church and nearby nationalist district of Carrick Hill. Restrictions imposed on the march by the Parades Commission include bands being ordered to play just a single drumbeat past Carrick Hill and St Patrick’s between the junction of Westlink and Clifton Street and the junction of Union Street and Donegall Street. The commission placed no restrictions on a protest organised by the North Queen Residents involving up to 50 people which will take place near the junction of Brougham Street and North Queen Street.